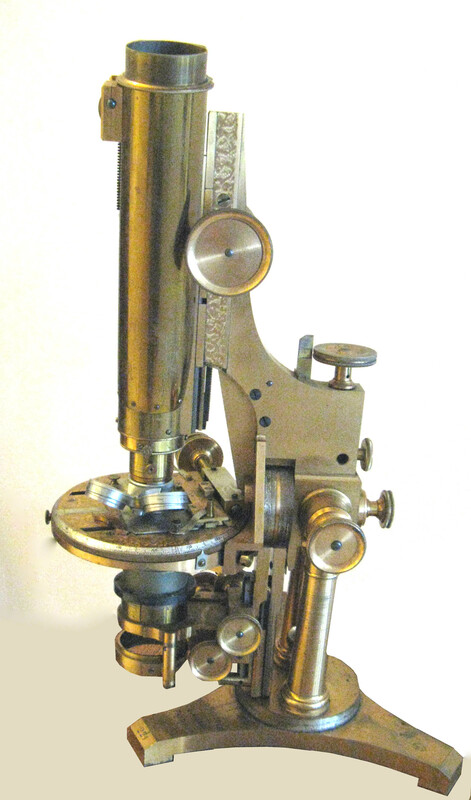 This binocular, double pillar, compound microscope by Walter Bulloch dates from after 1880, but prior to 1890. It is the 'Professional Model' which started out as a single pillar model and soon became this double pillar variation, closely resembling a smaller version of the Congress. This example is from another private collection.